Exact reproduction of "BBC" logo cap used on tables from 1884-1916. Covers old worn holes that normal size rosettes can't hide. 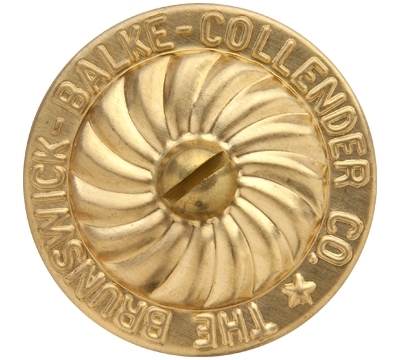 Stamped, solid brass. Sold individually.